Well, it’s that time of year again, isn’t it? And you know what that means: it’s time to start your holiday shopping. If you have a special traveler on your list (whether that means yourself, or a loved one), then this gift guide is for you. 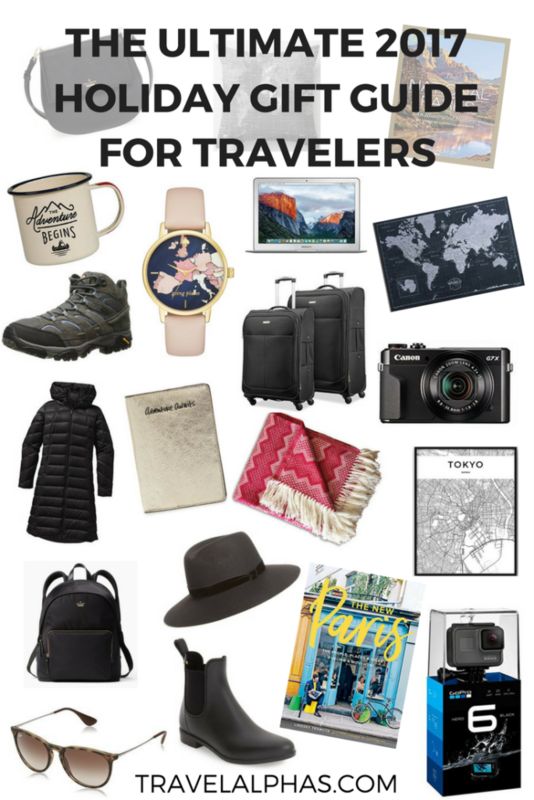 Whether you’re shopping for a foodie, a luxury traveler, an adventurer, a part-time traveler, or a techie traveler, this Ultimate Holiday Gift Guide for Travelers for 2017 has you covered. Without further ado, let’s get to shopping! *This post contains affiliate links, see our disclosure for more information.